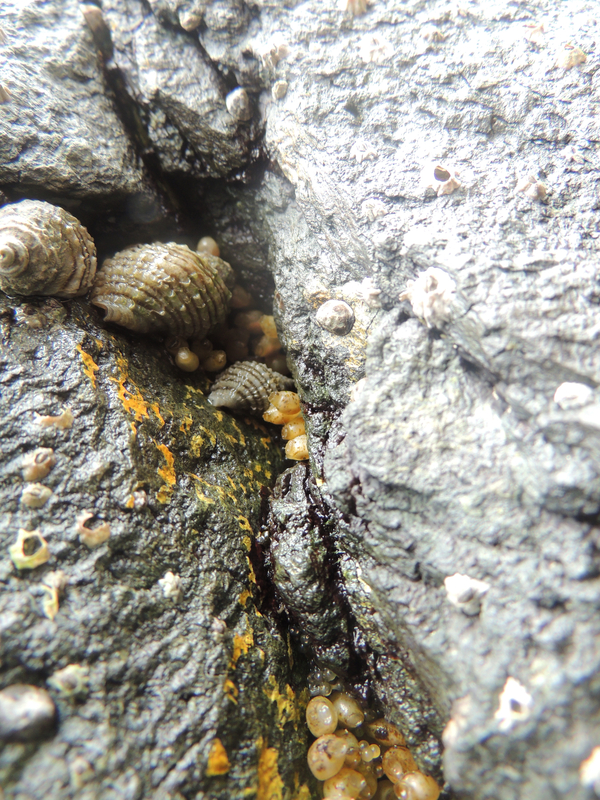 During a short excursion to the Director’s intertidal zone on Monday 23 March 2015, D block marine scientists discovered the eggs of several species. 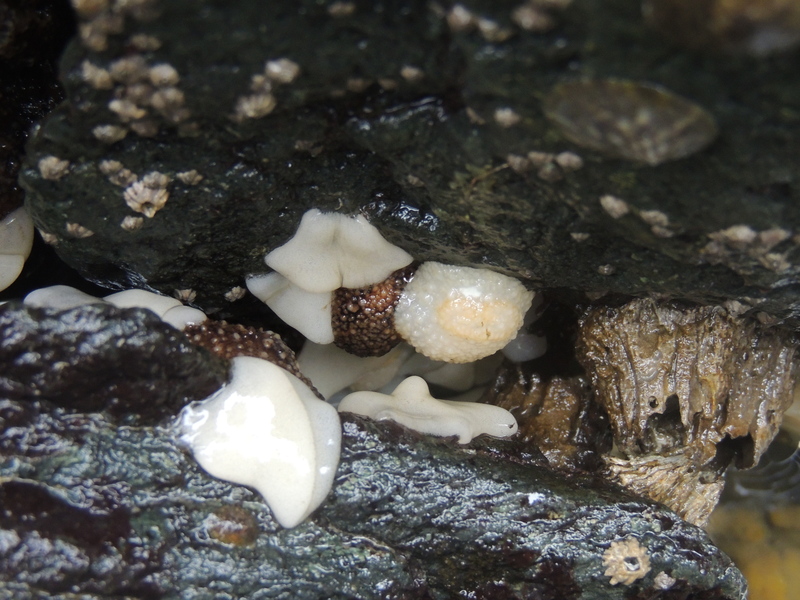 Above are the egg masses and adults (including one unusually pale example) of the barnacle-eating sea slug (Onchidoris bilamellata). 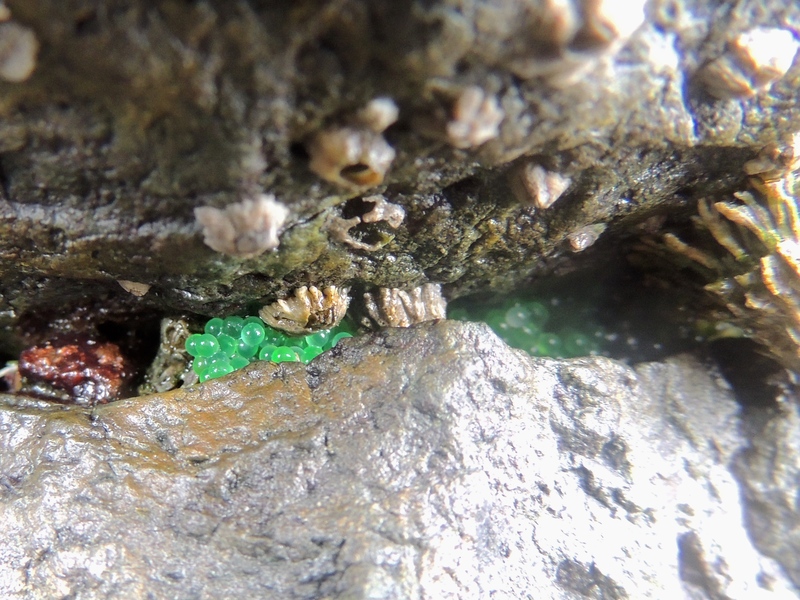 Also some very green fish eggs laid in an intertidal crevice (above). 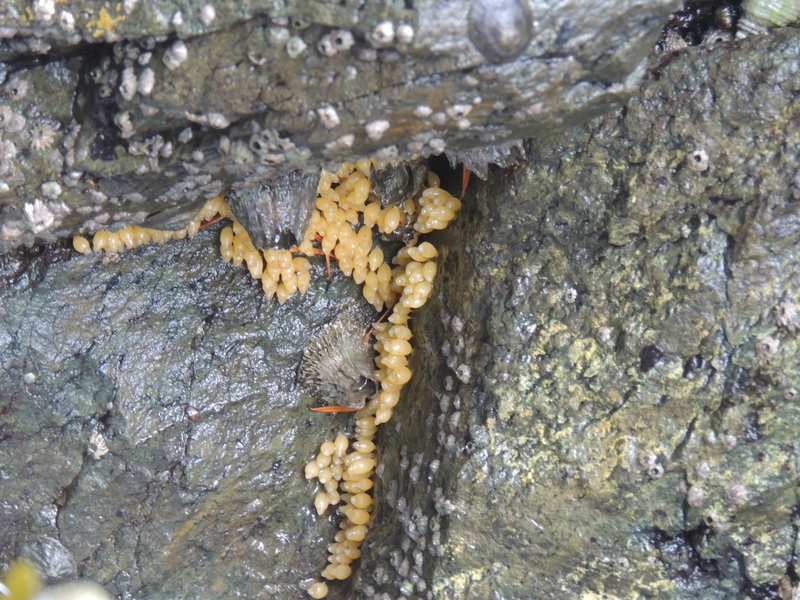 And some dog whelk (Nucella ostrina) egg capsules. Thanks to Alana for the photos!